Location, Location, Location. Spacious open floor plan, large MAIN LEVEL Master bedroom, fenced poolside patio! This is a very rare large townhome living with a roomy loft. 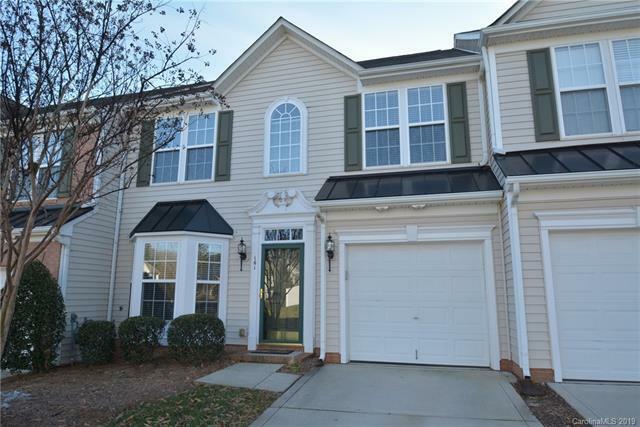 Walk in storage upstairs, plus additional large bedrooms with large closets! Feels like a single family home without the upkeep. This unit is newly cleaned and ready to move in. 1 car garage with fenced patio for privacy. Loads of natural light. Close to I-77, the new coming Costco, Shopping, and Nascar Technical Institute. The neighborhood also features a dog walking trail. This one won't last long!